« The opportunity of Toxiland! By CHERISE UDELL April 16, 2011 Cherise Udell is founder of Utah Moms for Clean Air. The CEO of Rio Tinto, Tom Albanese, lamented recently that his corporation must do “a better job at managing the curse of resource nationalism … and the activism of stakeholder engagement.” Let me translate that for you: Local people throughout the world are tired of being exploited for profit; they’re starting to stand up for themselves, and Rio Tinto doesn’t like it. Last week I boarded a plane to London, headquarters of Rio Tinto, to join protesters from California, Michigan, Indonesia, Mongolia, Madagascar and London to bring Albanese face to face with “the curse of resource nationalism.” Virtually every country and state where Rio Tinto operates is sending real people to the annual Rio Tinto shareholders meeting to give Albanese an earful. Most adults in Utah know they have suffered, and will likely still suffer for years to come, from a culture of greed, corruption, entitlement and disdain for the little guy that permeated Wall Street, culminating in the collapse of the world economy in 2008. For years, Wall Street suckered Congress into passing laws it knew only it could exploit, and then pushed even those laws to the limit. The average person (you and me) ended up paying dearly, while those who profited like kings escaped not only unscathed but are now making bigger bonuses than ever. There are stark similarities between Wall Street’s behavior and Rio Tinto’s operations in Utah and throughout the world, prompting its stiff opposition to “resource nationalism,” as Albanese puts it. With the dramatic increase in the price of metals, the profitability of mining is greater than ever, despite a still-depressed economy. The principal beneficiaries are Rio Tinto management in London and stockholders far removed from the consequences of their actions. For years, Rio Tinto has manipulated Utah agencies, pushed the permitting process to the limit and operated beyond the constraints and intent of the Environmental Protection Agency, the Clean Air Act and our State Implementation Plan. Rio Tinto now sees much greater profit potential using this well-worn modus operandi in seeking an expansion of its Bingham Canyon Mine. Using the mirage of job creation and the thinly veiled threat of shutting down if it doesn’t get what it wants, Rio Tinto is busy trying to hide its environmental footprint rather than clean up its act. If it succeeds, the economic and health consequences will be long-lasting and borne by the average Utah citizen for decades to come. The Bingham mine’s 23,000 acres currently have no financial bond. As far as I know, this is a highly unusual situation in America. When the mine finally closes, as all mines eventually do, Utah taxpayers will be left with a mess we can’t afford to clean up, toxins in our aquifers and Great Salt Lake, and a mountain range that once beautified and enhanced our vistas, hopelessly and irreversibly disfigured. An expansion of the mine will make all of that even worse and more costly to us. Utah and its government leaders have a choice to make on Utah’s future. We can continue giving preferential treatment to the big polluters — and Rio Tinto is by far the biggest — which will solidify and perpetuate economic dependency on the extraction industries and will discourage companies that would otherwise bring us cleaner jobs. We can inadvertently become the Pittsburgh of the 1950s or Silicon Valley of the 2020s. Granting Rio Tinto a free ride to pollute more certainly steers us toward becoming the Pittsburgh cesspool of the future. Americans didn’t stand up to Wall Street and we are paying dearly for not having done so. Utahns should now demand that our state government stand up to Rio Tinto. We can demand a realistic reclamation bond. We can demand that a small part of Rio Tinto’s profit of $14.3 billion last year be invested in electrical generation sources such as wind and solar that don’t pollute our air. 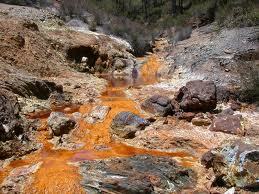 We can demand that Rio Tinto use the best available technology to mitigate its pollution output. It’s technologically feasible, it will provide new jobs, Rio Tinto can well afford it, and to do otherwise simply perpetuates an exploitation of all the residents of Salt Lake County.